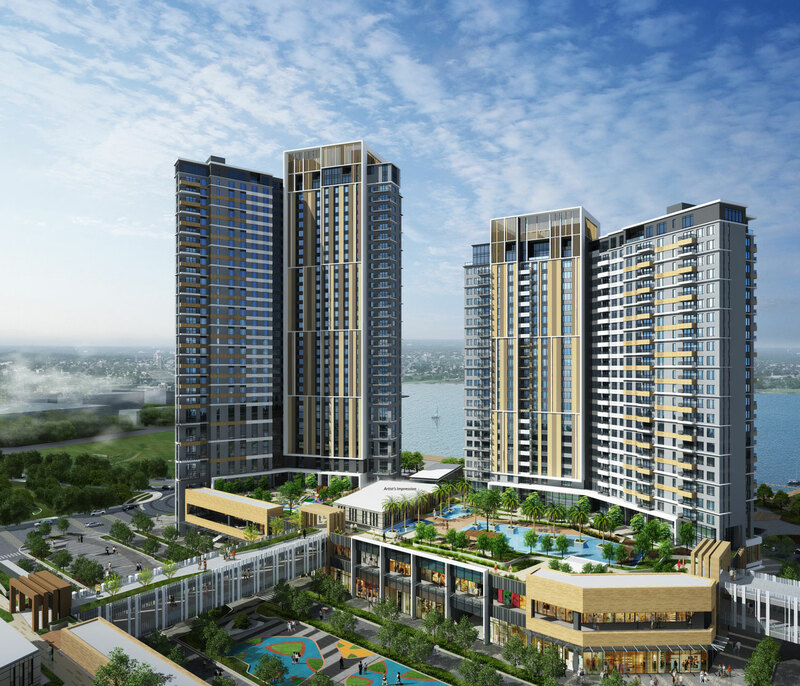 Mandani Bay has marked a significant milestone in its history – topping off the first two in a series of high-rise structures within the emerging lifestyle destination facing the iconic Mactan Channel. THE VISION. Mandani Bay Suites will set the tone of lifestyle in the waterfront development. THE WORK IN PROGRESS. The future home of the very first residents of Mandani Bay, the enclave is on-schedule for its delivery in March 2020. Mandani Bay Suites was recently topped off on time, keeping with a strict construction schedule, with key executives from government, the business sector joining the officers of Hongkong Land, LLC and Taft Properties, Inc., joint venture partners developing the community, for the occasion. The ceremony included the lifting of the concrete funnel by crane witnessed by guests through live drone feed. Robert Wong, President of Hongkong Land, and Director of Property Development Tan Wee Hsien personally inspected the near-finished buildings to check for adherence to quality standards. The two officers were conducted by the Technical Team on a walk-through of the mock-up floor that will become the reference for the completion of the other parts of the buildings. Mandani Bay Suites is the Phase 1 enclave of the 20-hectare destination project. Construction started in 2016. All of Phase 1’s 1,200 units have been sold out. Unit turnovers start in the first quarter of 2019. Mandani Bay Suites has penthouses, townhouses, studio- to three-bedroom, loft and garden units. It also features a commercial strip, recreational and community support facilities and car parks. Wong underscored the presence of the international property powerhouse in Cebu as well as its partnership with the Gaisano-led Taft Properties describing Cebu as a success story and the joint venture as inspiring. As he congratulated the designers and builders of Mandani Bay Suites, Taft Properties’s Edward Gaisano noted that many changes will take place on the waterfront property once Phase 1 is completed. “No longer will Mandani Bay be the quiet, vacant lot that it once was. It will become the home of many, a place for relaxation and recreation for others. It will begin to serve its purpose – a place where people live their dreams, live their passions,” he said. 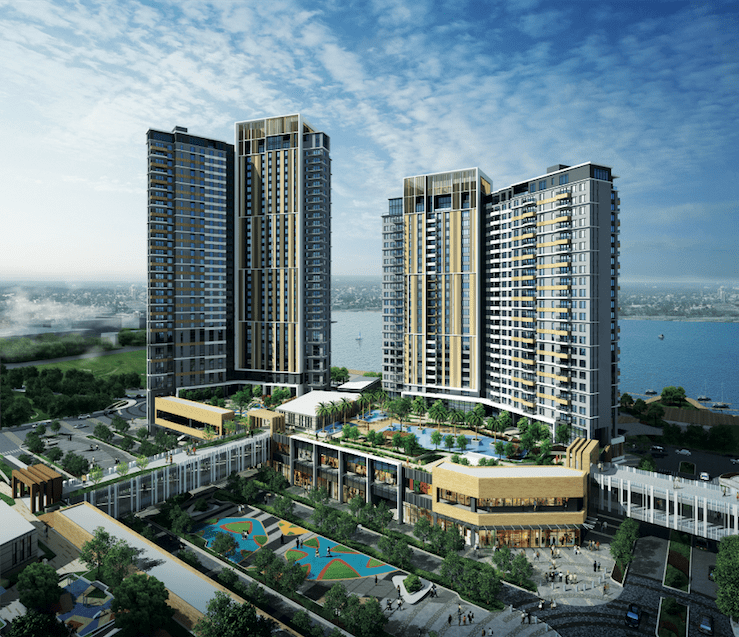 Mandani Bay is distinguished as one of Cebu’s biggest property developments with 500-meter water frontage, a planned boardwalk and marina as well as world-class amenities. Its Show Gallery, opened in 2016, has been cited for its elegant interiors and exhibition design by the Italy-based A’Design and Competition, International Property Awards Asia Pacific, and BCI Asia Interior Design Awards. By integrating global standards of design and construction with elements of the rich Cebuano heritage, Mandani Bay is steadily transforming Cebu into an international lifestyle destination.